Welcome to the Jersey City location of Complete Physical Rehabilitation. 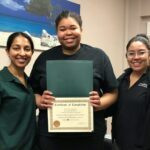 For over 10 years we have been proud to provide residents of Jersey City and the greater Hudson County area with unparalleled Physical Therapy and Acupuncture service, centered around our philosophy of personalized, one-on-one care. Take a virtual tour below, and read what past patients are saying about our clinic! What’s the best way to reach you about your message? Please provide an approximate date/time, and we will do our best to accommodate you. Thank you for contacting us! We will contact you ASAP to get the info we need to verify your insurance & schedule your appointment. Should you have any immediate needs, please don’t hesitate to call us. Please Remember to HAVE YOUR INSURANCE INFORMATION AVAILABLE DURING any CALLs. ALL INSURANCES WILL BE VERIFIED BY OUR OFFICE PRIOR TO SCHEDULING ANY APPOINTMENTS. Click and drag the image below to rotate, click the arrows to move throughout the clinic. With the foremost expertise in the treatment of many common injuries, including back pain, neck pain, shoulder pain, foot & ankle pain, and knee pain, we are ready to tackle any issue that you may have. Featuring cutting edge technology, including the first and only AlterG Anti-Gravity Treadmill in town for athletic training and Physical Therapy, our Jersey City Physical Therapy and Acupuncture team is ready to get you back on your feet. 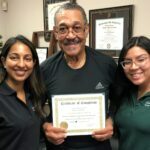 We are the only specialists in Vestibular (Dizziness & Vertigo) Rehabilitation in Jersey City & Hudson county, the only specialists to provide the innovative LSVT BIG Treatment program for Parkinson’s Disease, and the only clinic that focuses specifically on treating and training Runners of all experience levels. Patients can be sure that every time they come to our clinic, they will be given one-on-one attention from Physical Therapists that strive to achieve the best outcomes possible for our patients.